Maccaferri India’s Technical Head and Vice President, Mrs. Mini Korulla was recently interviewed by TechTex India. In her interview Mini Korulla discusses engineering solutions to a wide range of civil and environmental engineering applications with systems that have least impact on the environment and are profitable. Her interview was published in the BCH quarterly to understand better the vision and to work of Maccaferri. With 19 years of experience in academia and industrial, Vice President Minimol Korulla is associated with the well known Pambear River Basin Project in connection with Cauvery Water Tribunal Project. She worked on this project during her tenure in the irrigation department, Govt of Kerala. Currently, in Maccaferri Environmental Solutions Pvt Ltd, she is active in market sectors that require detailed technical work design, research & development activities. During her Interview, Vice President Minimol Korulla explains that “Maccaferri can be described as a technical reference and total solution provider for simple to complex, weak soil slide to rock slope instability and erosion problems.” She answered questions regarding (1) the increasing trends for the usage of Geotextiles in USA, UK and Asia, (2) innovations of geotextile products using recently developed woven geotextiles, bio-textiles and composite geotextiles. 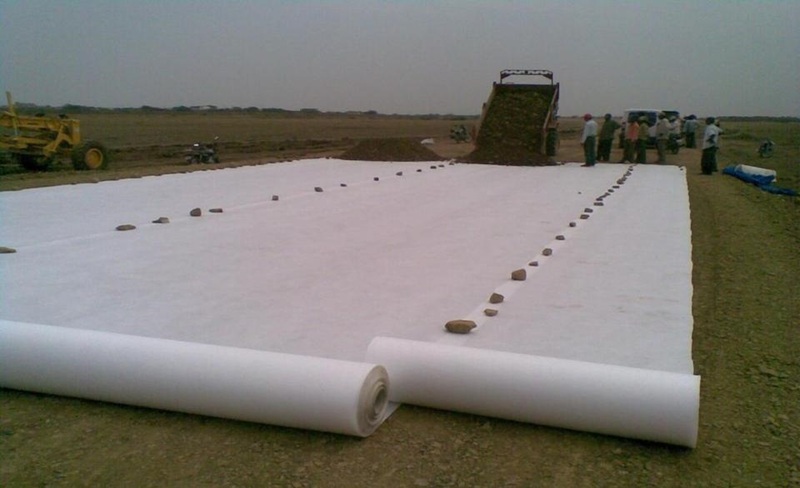 These are now regularly used for different applications like confinement in form of geotextile bags or geotextile tubes for coastal erosion protection, water conservation lining in reservoirs and sand enclosed mattresses for canal lining, as filter for dewatering treatment and for landfill stabilization. Additionally, Vice President Minimol Korulla discusses how the Indian market movement in the geotextile industry compares relatively poorly in comparison to the developed world. She reviewed possible future trends, budget allocations, and competitive trends in the geotextile sector. For more information on the interview and on the presented solutions please contact us.